I would like to share with you my fast and easy EYFS planning method, called “Bring and share” planning! It suddenly came to me last week when I was thinking about how I could make planning simpler and included the families and children in the planning process. So this is how it works……. 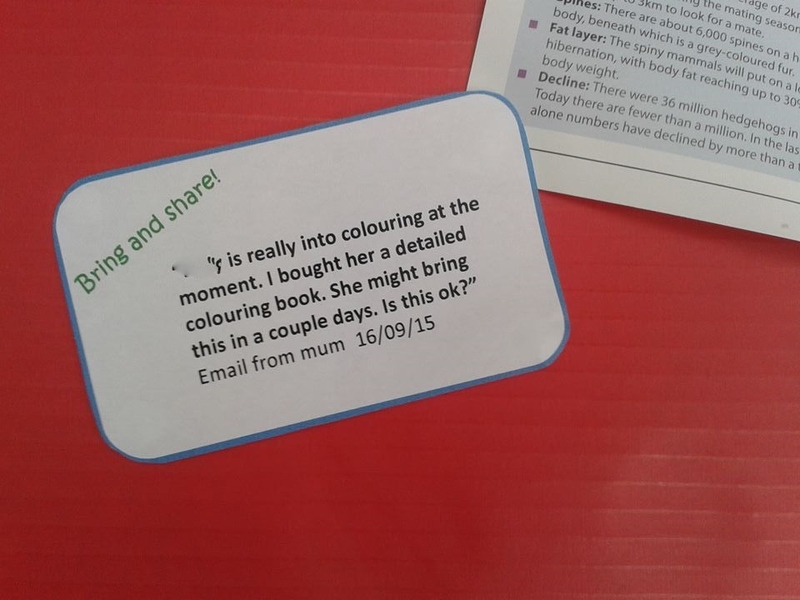 Fast and Easy EYFS Planning! 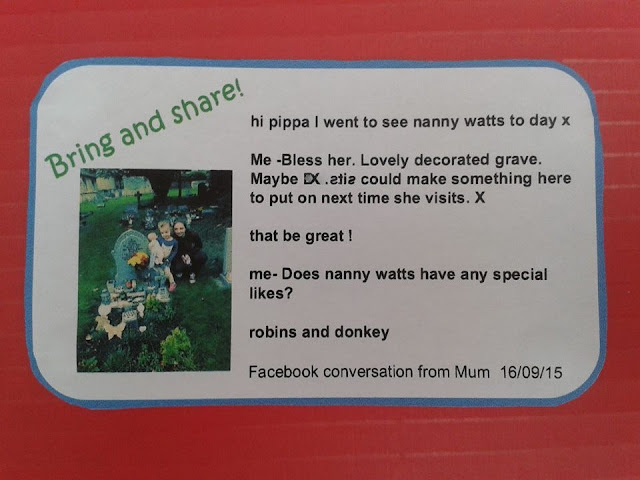 We have a big fold up display board (making it easier to keep your home like a home when you are not working) and children add their ideas for play and learning on to the board. This seems to involve everyone from an age where they can communicate their interests. 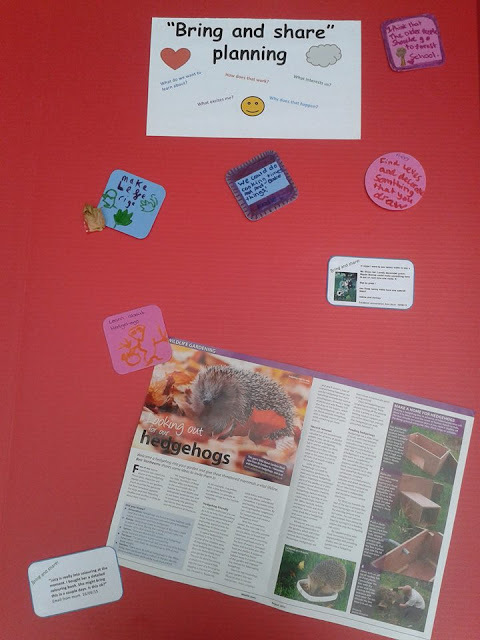 For children who are too young or unable to share their ideas, the parents send in photos and little snippets of info for the board. Even after schoolers get a say and add their ideas to the board as well. Parents email me or Facebook me. They send over pictures or send me a text and I copy this on to a “Bring and share memo”. 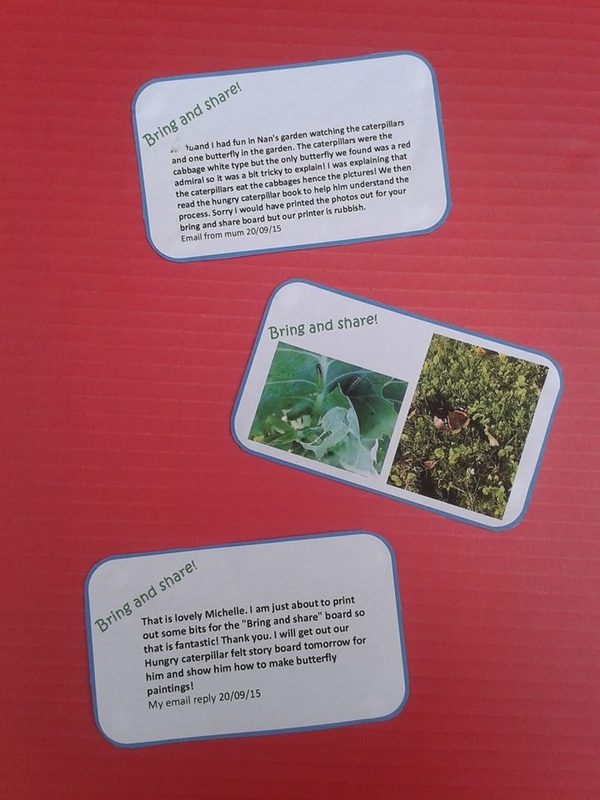 These memo’s remind me of what the children are interested in or learning at home and also allows the children the opportunity to share their learning with others in the setting. They point to their item or picture on the board and tell their friends about their “Bring and share”. This introduces other children to new learning and experiences through their friends. I then think of something fun to continue the learning and follow up on the shared interest and then add a picture to the board to show what we did.The children can also be included in the next steps/ extended learning through discussions. Anyone else use an idea like this? I am sort of making it up as I go along so would be interested to hear your thoughts. 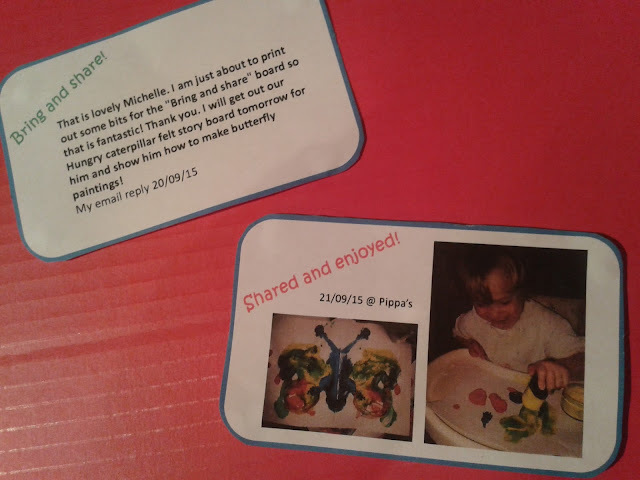 The pictures below show examples of “Bring and share memo’s” from home and the follow up activities (Shared and enjoyed memo’s) for children in my setting using this fast and easy EYFS planning method. The board is made from strong cardboard and can be folded and slotted in beside a unit or behind the sofa when not in use. I bought it from Baker Ross and the other 3 boards in the pack have already come in really useful! I blue tack all items of interest on to the board so that the board can be used over and over again. “L” is now at school and her mum emailed me with this message. I have photocopied some sheets from my colouring book for her. Another mum shared this over email this weekend. I printed out our conversation and added it to the board. Today I added this follow up post! Another mum Facebook messaged me last week and I copied the conversation and added it. Today I added the follow up from our activity. Including everyone in the planning process! This fast and easy EYFS planning has been really embraced by the children and parents in my setting and I am finding that the experiences I am offering the children are more relevant and as a result, engaging them more! The continuous provision offered is more interest linked and the communication between parents and setting is fantastic. Ofsted can see you are using children’s interest and next steps. They can see communication and working with parents. They can also see that learning is being supported and continued in the setting and at home. 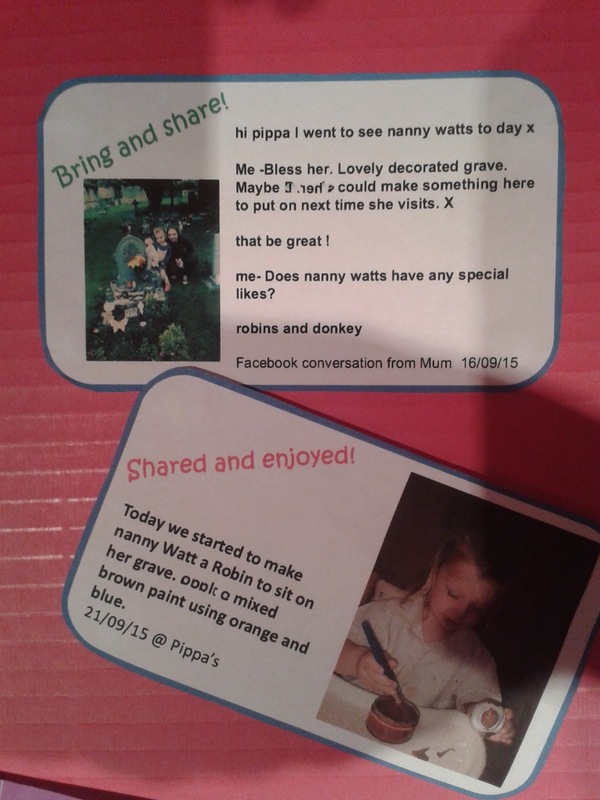 Children feel that their interest and excitement over an event or interest is really valued. That what they have to say and share is important. Giving them a real boost! If you find that a family are not engaging as much as you might like, for what ever reason, you could always take photos or make notes yourself and add them to a “Bring and share” memo. You could take a picture of something they have brought in from home or an item they have collected from a walk. You could also print out some “Bring and share” blank sheets for parents to fill in by hand. For a more traditional planning method and to look at how I plan Long Term and for topics please check out this post! PLANTING, GROWING AND MAKING CASTLES IN THE MUD TRAY!